You’ve (probably) never climbed Mt Everest. Icelandic studio Sólfar Studios want to help change that, without the hassle of having to risk death by extreme cold. Which is a very real risk, since nearly 300 climbers have been killed since 1922 trying to reach the summit. 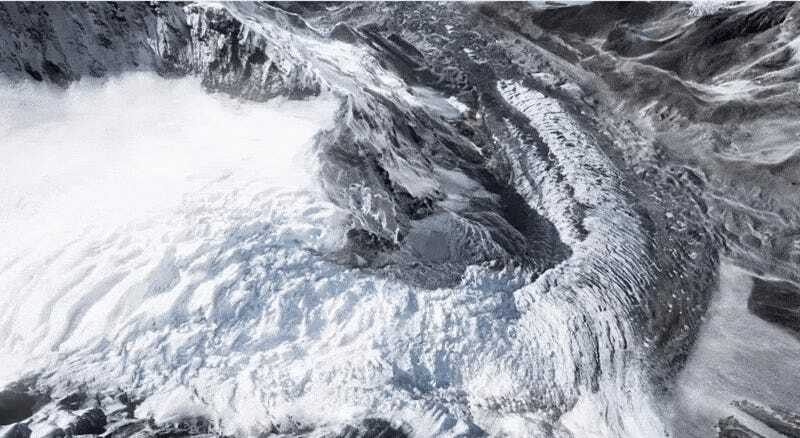 They’re working on a model of the world’s tallest mountain for VR systems, which has composited over 300,000 photos to create “a highly detailed 3D point cloud of the whole area”. The whole thing is then being built using Unreal Engine 4 and destined for “high-end VR platforms”, which I assume means Oculus Rift and Valve’s Vive, not a Samsung Gear. It’s due out next year. Hopefully some snowspeeders can be modded in shortly after.